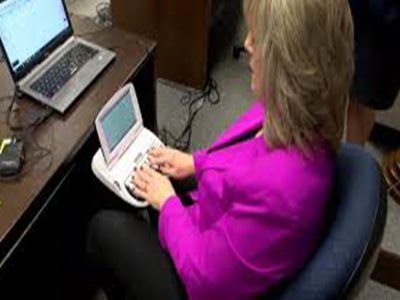 How to Become a Court Reporter in Illinois? In the presence of black-robed judges and pinstripe suit wearing lawyers, court reporters may be overlooked, but the fact of the matter is that they are as important as the judges and the lawyers. Court reporters capture, protect and preserve records of court proceedings and pre-trial depositions. Court reporters transcribe and create complete and accurate legal records, which are heavily relied upon during the appellate stage of a case. If you want to play an important role in the judicial system but do not have the time or means to become a lawyer or a judge then consider becoming a court reporter. If you are a resident of Illinois who is thinking of becoming a court reporter then the good news is that Illinois is the fifth biggest employer of court reporters in the US. Court reporters here make more than what they make in many other states. If you are interested in joining this field then the following information would be of use to you. In order to become a certified shorthand reporter (CSR) in Illinois, you will need to pass one of the three exams. One of these exams is sponsored by the Certified Shorthand Reporters Board (CSRB), while the other two exams are sponsored by the National Court Reporters Association (NCRA). Passing either one of these will require being formally trained in an educational setting. One of the best ways of going about preparing for these exams is to enroll in an Associate of Applied Science degree in Court Reporting. A 2-year program offered by community colleges, this degree focuses on acquiring proficiency in legal, medical and technical terminology. It will also enhance your listening and concentration skills; the ability to accurately apply English language, including its grammar principles, spellings and punctuation; the ability to transcribe at a specific speed; working knowledge of technologies and equipment commonly used in the court reporting profession and a solid understanding of the NCRA Code of Professional Ethics. Once you have graduated, you are now ready to take one of the above mentioned exams. Once you have passed this exam, you now meet the court reporter license requirements in the state. This means that you are now ready to apply for certification with the Illinois Department of Financial and Professional Regulation (IDFPR). Once you are certified, it is time to look for your dream job. You can visit your local courthouse and ask the customer service representative for relevant job vacancies. You can also join the Illinois Court Reporters Association (ILCRA). As a member you will have access to their conventions and other social events where you can meet with your seniors and get an inside view of the profession in the state. If you are looking for networking and a support group, joining ILCRA is your best bet. How Much Do Court Reporters Earn in Illinois? As can be seen, this field will experience slow to moderate growth in Illinois from 2016 to 2026. Therefore, you should be patient during the job hunt stage as there will be stiff competition for each vacancy. However, those candidates who possess sterling credentials will beat the competition. So, make sure that you go well beyond fulfilling the bare minimum requirements for becoming a court reporter in Illinois.